Dr. Keith Bramwell - Senior Technical Advisor for Jamesway Incubator Company Inc. The practice, or “art”, of artificially incubation of the avian egg dates back some 3,000 years to the ancient Egyptian mud/brick oven type rooms designed in an attempt to incubate eggs from native fowl. Since those very early attempts at artificial incubation, the general goal of those incubators, as well as the incubators of today, is to mimic “nature’s incubator” or the mother hen. However, with all the modern research technology available to us today and with the modern equipment developed to implement this knowledge and information, we still have much to learn to provide the embryo with the optimum environment to develop properly. In addition to the innate ability, the hen has to respond to ambient environmental changes for the benefit of the embryo, she provides warmth to the eggs mostly through direct contact of her skin to the egg with little, if any, forced air movement around the incubating eggs. Therefore, this might explain why information that tells us that the mother hen provides temperatures warmer than most artificial incubators may not be as helpful when trying to mimic the hens daily incubation profile. Nevertheless, the attempt to copy “Nature’s Incubator” remains the primary objective for commercial hatcheries and incubation design and operations. While modern incubation equipment has the ability to control conditions within the machines better than ever, the same basic principles of incubation still apply. Namely, we must control temperature, humidity, ventilation (air or gas exchange), and turning of the eggs. How well these conditions are met may vary with equipment age and type as well as their upkeep and maintenance to keep them working in the manner in which they were designed. 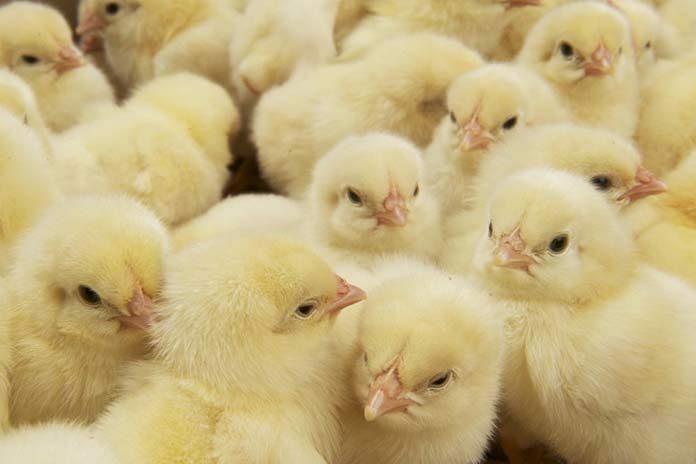 Once these conditions are met, the incubation process is then often thought to be a separate event from the grow-out phase of broiler production. However, in reality, embryo growth and the basic physiological development of the embryo should be considered to be the first three weeks of the broiler grow-out phase. In other words, the first three weeks of the broiler grow-out should be considered as occurring in the egg and in the hatchery. Therefore, as we know that the first few days of life of the hatched chick can have a lasting effect on the performance of the broiler; it stands to reason that incubation conditions can affect the physiological development of the embryo in a manner that can affect the performance of the chick long after hatch. Taking this into consideration, there is much to be learned regarding the long term affects of the environment we subject developing embryos besides hatchability and 7 day livability. One area receiving considerable attention recently is the affects of carbon dioxide on embryo growth during the incubation process. The long held beliefs about ventilation or air/gas exchange during incubation, was that a setter should work to remove carbon dioxide from the machine and replace it with oxygen. The belief was that CO2 was harmful to the developing embryo and that fresh air and plenty of oxygen was needed for optimum chick development and hatchability. However, with atmospheric CO2 levels typically around 400 ppm, and with averaged measured CO2 under the hen at around 4,000 ppm, it is obvious that the hen incubates her eggs to maintain a certain level of CO2 above what is found in the ambient environment. While this level under the hen is obviously dependent upon the age of the embryo and the frequency in which she leaves the nest, the idea is that she does incubates her eggs at CO2 levels substantially higher than atmospheric levels. At present most incubator manufacturers accept the need to control and monitor CO2 levels not just in an effort to replace it with oxygen, but to maintain a certain level of CO2 for periods of time early in the incubation process. It is known that as the embryo grows its level of CO2 production continues to increase exponentially after the first six days of incubation. Therefore, at around six days of incubation CO2 is typically monitored in an effort to control peak levels attained inside the incubator with a general belief that elevated CO2 levels late in incubation is detrimental to embryo livability. At the cellular level of the developing embryo, O2 and CO2 exchange is occurring rapidly and as the embryo grows in size and structure the O2 demands and CO2 production are increased as previously mentioned. Therefore, the measure of gas exchange for the developing embryo is simply a magnification of what is happening at the cellular level. While the overall goal of incubation is still to provide optimum conditions for embryo growth, technology has allowed for better control of these conditions therefore allowing ‘fine tuning’ of the environment we create for developing embryos. Additionally, with improved single stage incubation designs this has allowed our management programs to incubate eggs more closely to what is needed for optimum growth of specific embryo’s and not for ‘the average’. As a biological entity, the chicken embryo is designed to grow and develop in an effort to survive. Could it be that now that we can more precisely control the environment in which we incubate chicken eggs that altering various conditions, such as CO2 levels during incubation, would cause physiological changes in the developing embryo that might persist after hatch? As the embryo develops in a situation that is suitable for growth but may also cause the basal physiological development to be altered in an effort to survive, could we produce broiler chicks that are better prepared for the sometimes stressful conditions in which they are reared? There is still much to learn about the developing embryo; and the possibilities of what we can do during the incubation process to prepare chicks for the last phase of growth outside the shell is still largely not understood.